Better track and manage purchase orders in real time, with Smartsheet. A purchase order (PO) is a type of order form for goods or services that is typically used in business-to-business transactions between a buyer and a supplier. A buyer submits a purchase order that specifies the type and quantity of goods needed along with shipping instructions. If the vendor is able to fulfil the request, they accept the PO, and the two parties enter into a mutual agreement. In this way, a purchase order can serve as a contract, including outlining terms and conditions to provide some legal protection to both buyer and seller. 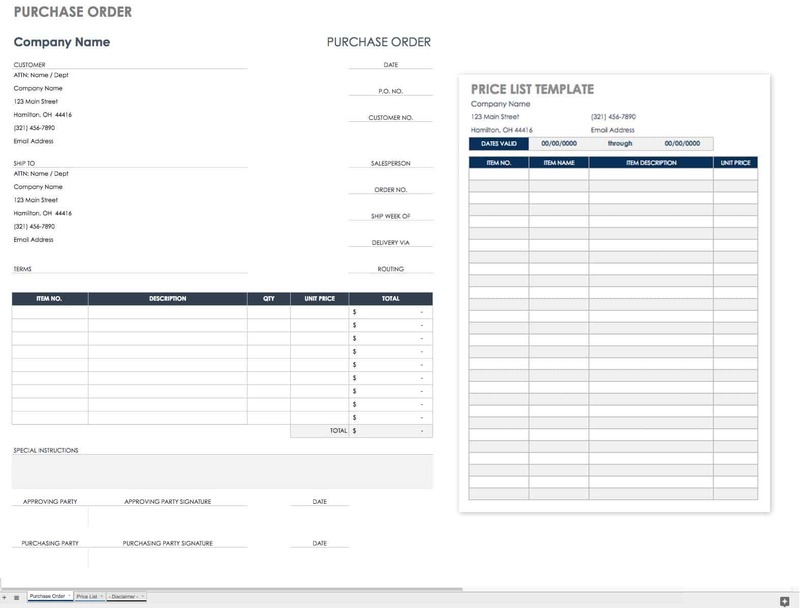 Many small businesses rely on purchase order templates to manage their ordering process and avoid hassles and costs that can be associated with using PO software. Using customized templates can help standardize the ordering process, ensure accurate record-keeping, and save time. To get you started, below you’ll find a number of Microsoft Excel purchase order templates that are professionally designed, fully customizable, and free to download. What Makes a Great Purchase Order? Since purchase orders list goods or services along with pricing and shipping information, they often resemble invoices. However, invoices are sent by sellers to indicate payments owed, whereas buyers send purchase orders to initiate a purchase. Buyers and sellers use a PO to create an agreement, which may be for a one-time order or an ongoing buying cycle. Businesses that have ongoing relationships with vendors often order items on credit and are then invoiced by the supplier at regular intervals. Purchase orders then become an important part of managing accounts payable. Listing any negotiation on pricing on the PO (such as discounts for large quantities) provides both parties with clear information about the order. Once you create a purchase order, you send it to a supplier via email. 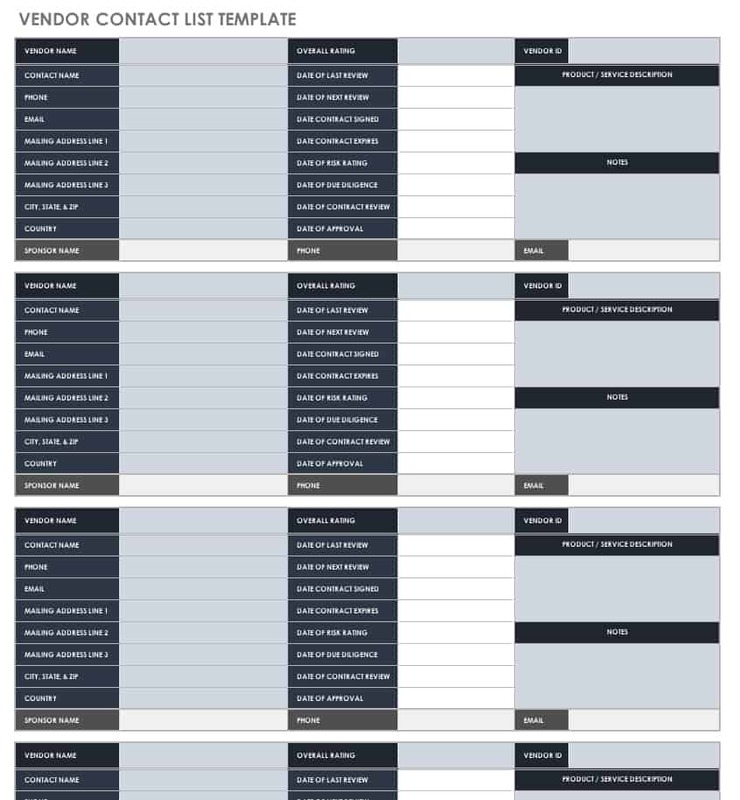 If you’re using any of the Excel templates listed below, save your completed order as a PDF file to provide vendors with a printable PO form. The main purpose of a purchase order is to provide clear communication and documentation between customers and vendors, so aim for clarity and simplicity as you create purchase orders. This can also help boost efficiency and streamline the purchasing process. 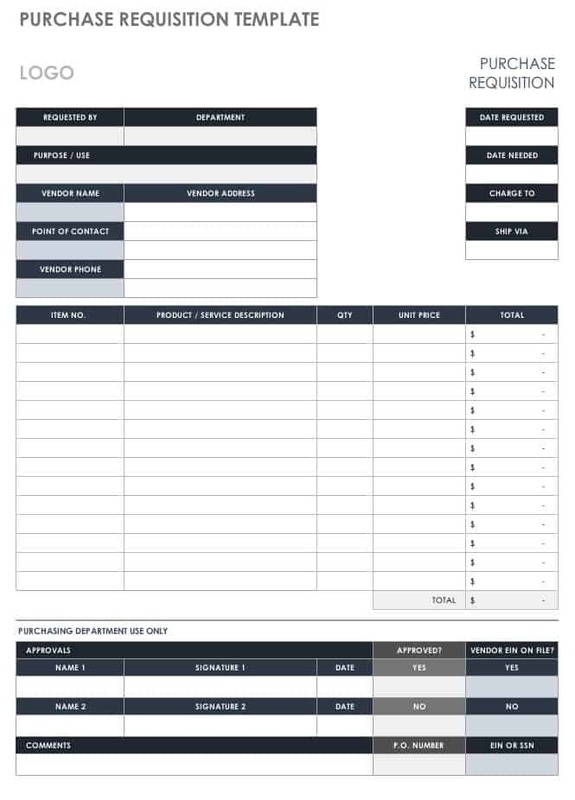 This template includes customer and purchase order numbers for tracking, vendor details, shipping information, and an itemized list of goods. Enter an identification number, quantity, and cost for each item being ordered, and the template will calculate subtotals and the grand total cost, including tax and shipping charges. There is also room to add comments or instructions, and you can attach lengthier terms and conditions as needed. 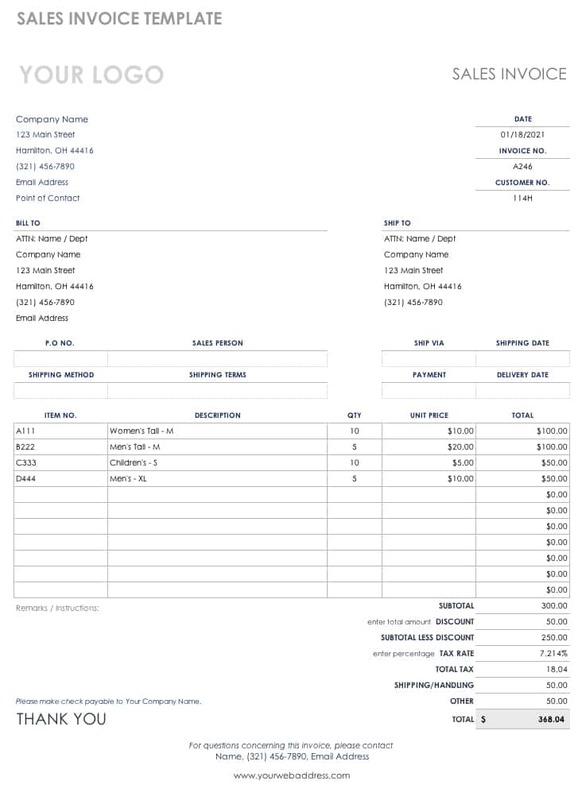 This purchase order template also doubles as a price list, so you can compile a list of commonly ordered items to expedite the purchasing process. Create separate price lists for multiple vendors, and update them regularly to ensure accuracy. 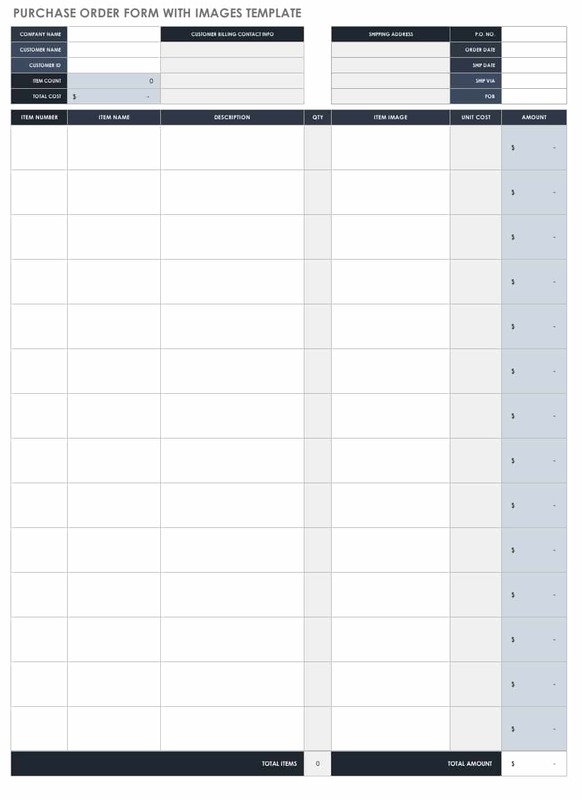 You can save this Google Sheets template to your Google Drive account, and print it as a PDF file. A blanket order may be used when an agreement is made between a buyer and vendor for multiple deliveries over a set time period. Special pricing may be negotiated as part of the deal, and details about the order along with terms and conditions are included in this blanket purchase agreement. You can also add your own terms to this template, which provides spaces for order information and authorization signatures. In addition to item numbers and descriptions, this template allows you to include images. This feature may be particularly helpful when ordering similar parts or items, thereby supporting accuracy when ordering as well as when filling the order. This template is available as an Excel, Word or PDF file. 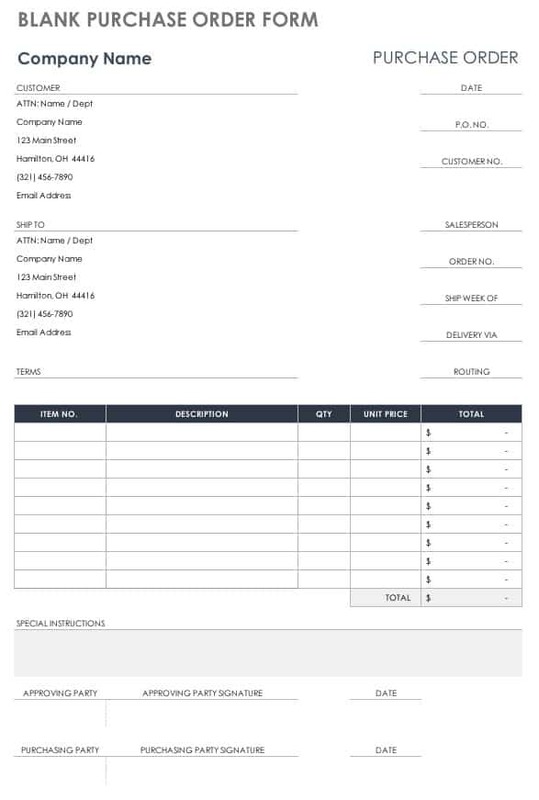 Create a customized purchase order by editing and filling in the fields provided on this blank form. The template offers a simple layout with sections to add an order number, delivery instructions, unit prices, and quantities ordered. You can customize the template further by adding a company logo, terms and conditions, and any other details required by your business or the supplier. 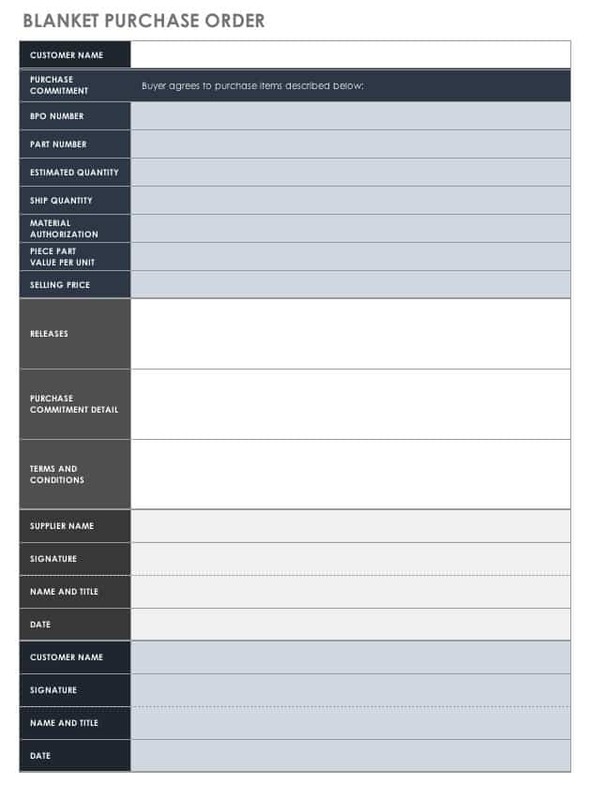 This purchase requisition template can be used to communicate with a purchasing department. Enter the items you need to order, vendor information, reason for the request, and billing info, and then submit the requisition to whoever is in charge of placing orders. They can then approve the request and create an official PO to order the items listed. 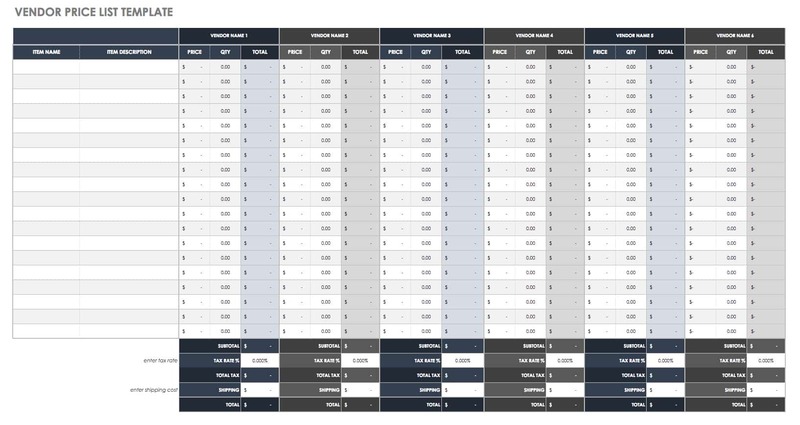 Track your outstanding orders with this simple spreadsheet template. You can keep track of purchase order numbers, vendor names, payment amounts, and delivery dates. 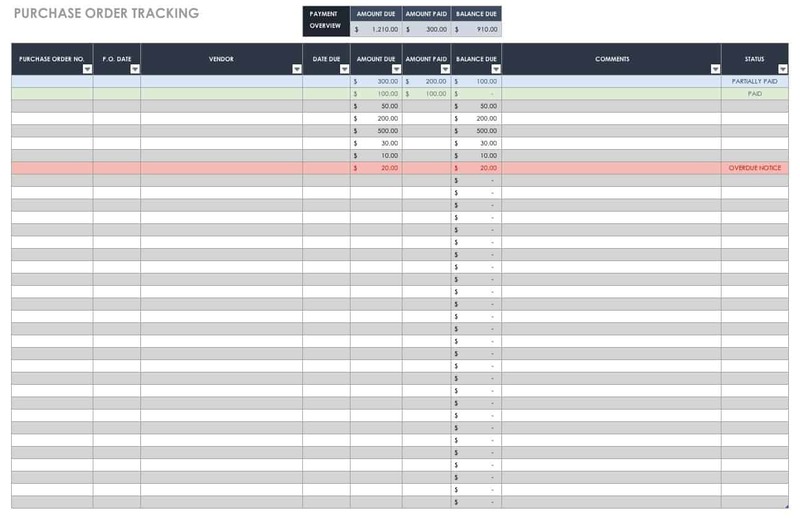 Tracking purchase orders can help ensure that all orders have been paid in full and completed on time. Filter the spreadsheet to view individual suppliers, outstanding payments, or other info. 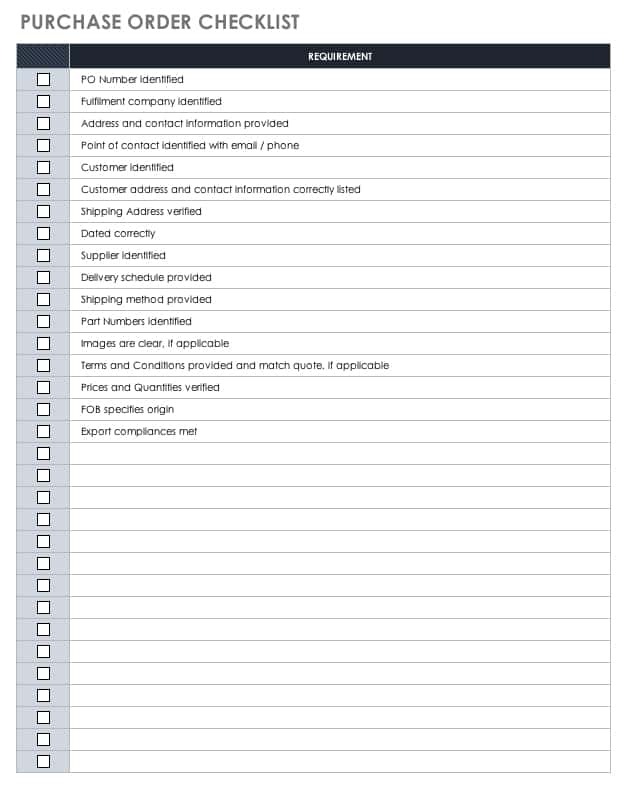 Vendors can provide customers with this checklist template as a guide for creating and submitting purchase orders. List any elements that will provide customers with a clear understanding of the PO requirements. This can save time, simplify the process, and help you reach an agreement quickly. Inventory management is a key part of knowing when to reorder stock and replace discontinued items. This Excel template provides columns for tracking detailed inventory information, quantities in stock, when to reorder items, and more. Use the template as-is, or edit the column headings to match the needs of your business. Keep track of vendor contacts, including important details such as the status of contracts, review results, and approval ratings. Add a description of the product or service provided by the vendor for a thorough snapshot of the company. The template includes room for additional notes and you can easily update it as vendor relationships change. Use this template to track and compare product prices offered by various vendors. The template will calculate total costs based on the price and quantity entered for each item. Use this information to create an itemized list of goods to compare individual items as well as an overview of total costs for each vendor. 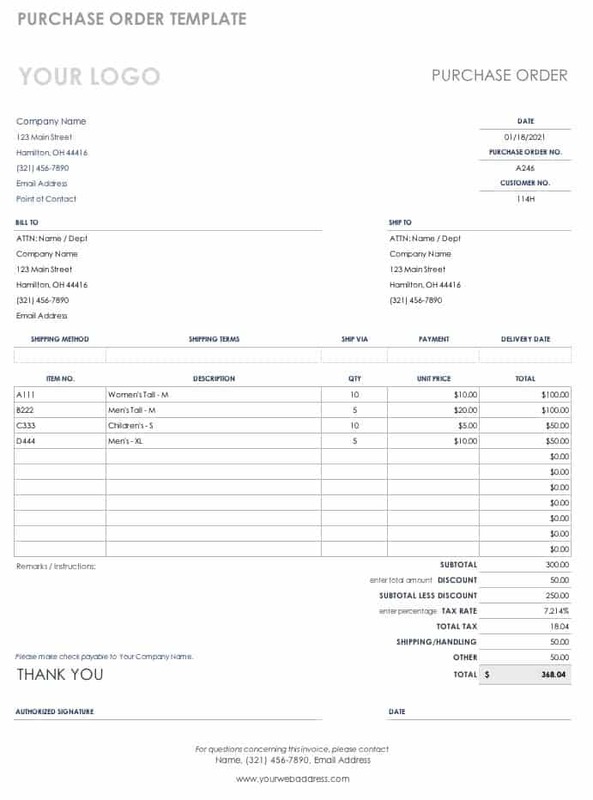 A packing slip is often included with a sales invoice in a shipment, and shows ordered items along with items actually shipped. This allows a customer to quickly see any discrepancies in the order and verify what inventory items were received. This supports accurate inventory management and planning future orders. A pro forma invoice can be similar to a purchase order in that it provides a quote for goods before a sale occurs. Pro forma invoices are commonly used when exporting items, and may show the weight of a shipment, freight costs, and customs information. This template calculates the cost of goods sold, including insurance, tax, and shipping charges. Suppliers can send this sales invoice to customers when an order has been fulfilled and payment is due. There are sections to enter the associated purchase order number, items sold, and the amount owed. Add your own payment terms or other instructions for collecting remittance. 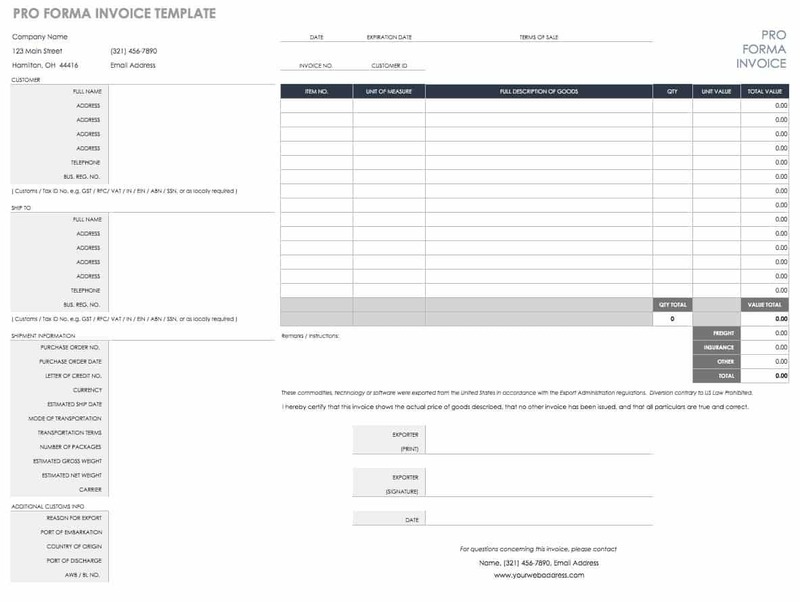 This service invoice template includes columns for tracking hours spent on a project, hourly rates, and corresponding subtotals. Clients can see completed tasks, the amount owed for each item, and the total payment due. 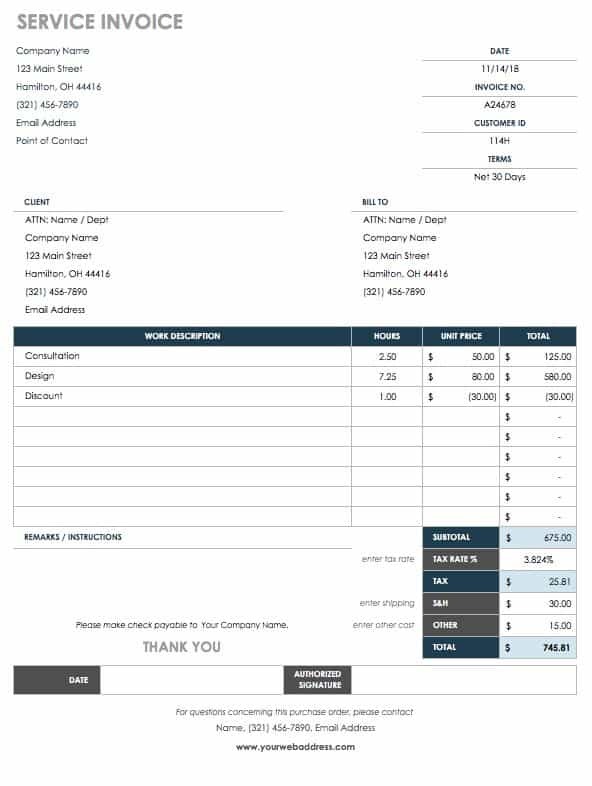 A second version of the invoice without hourly rates is included on a separate Excel sheet. This provides a simplified option for billing by project type rather than hourly rates. 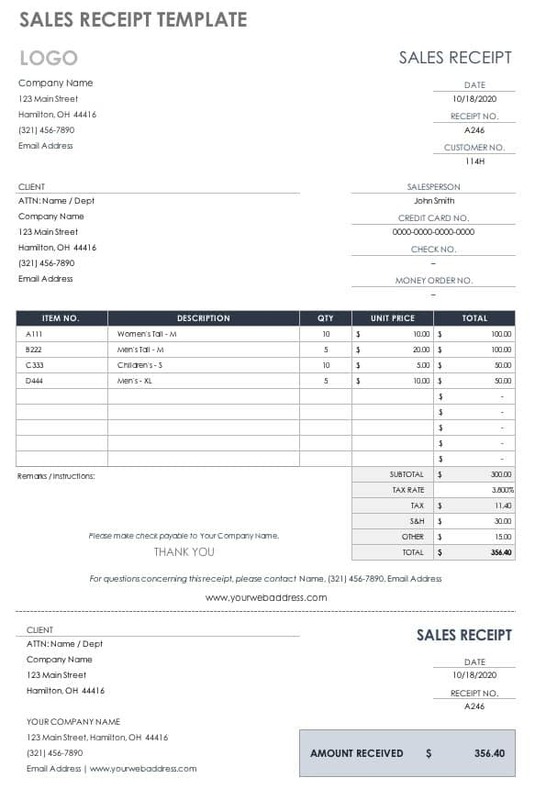 Use this sales receipt template to provide customers with documentation after your receive payment. This completes the sales process and shows the method of payment, itemized charges, amounts paid, and order details. The template includes a receipt number for reference. A delivery receipt verifies that a shipment has been received. 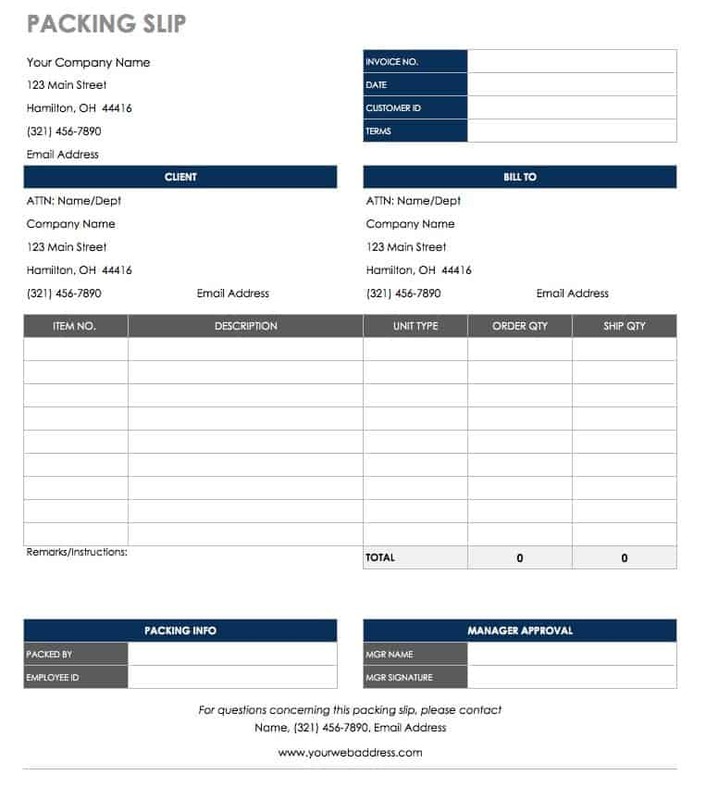 This simple template includes space for adding the items included in a shipment, customer and supplier contact information, and a recipient signature. 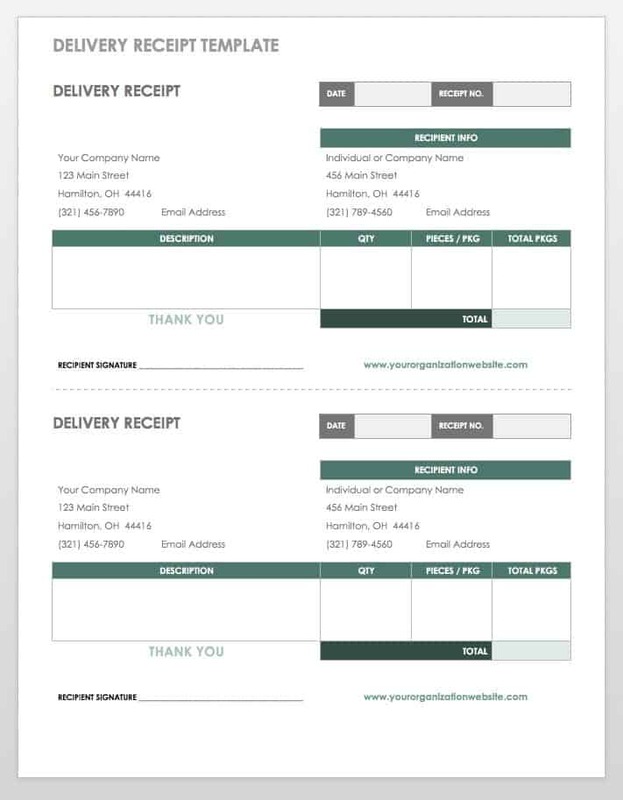 Add a company logo or additional details for a customized receipt template. Ordering items from vendors is a basic business process, and having a reliable process to track orders — from request to fulfillment and finally to vendor payment — is critical to business success. That’s why it’s important to have a tool that can help you manage the process and provide visibility into inventory. Discover why millions of professionals around the world use Smartsheet to move from idea to impact — fast.